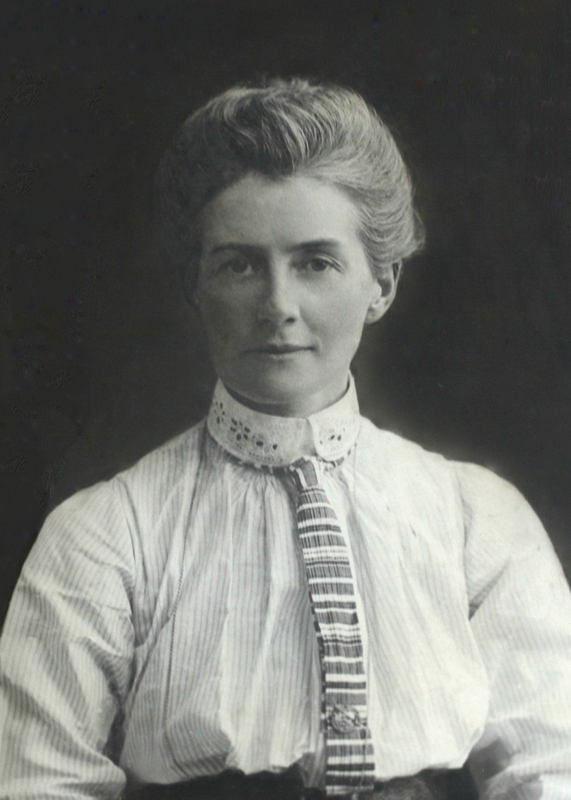 Commemorating Edith Cavell, the World War I British nurse who is celebrated for saving the lives of soldiers in Brussels from all sides without distinction. The Cheshires were part of the British Expeditionary Force which was driven south through Belgium in 1914 by the German advance. Colonel Boger (49) was commanding the regiment: Sgt Meachin was one of his NCOs. Both were wounded in the battle of Audregnies on August 24 – Boger had been shot three times and had sustained serious wounds in his side and foot: Meachin had been hit on the head by a spent bullet. They were treated in a German field hospital in a convent nearby and escaped a month later. They were helped by several Belgians who hid them in their homes. Eventually they arrived in disguise at the door of Edith Cavell’s clinique in the Rue de la Culture in Brussels on the evening of November 1 with a guide, Herman Capiau. Edith Cavell hid them both in her quarters and tended to their wounds herself. They spent seventeen days in hiding with her and then she passed them on to Belgian guides to take them to the Dutch frontier. Col. Boger was captured before he got out of Brussels and spent the remainder of the War in internment. Sgt. Meachin made it out to Holland and back across the Channel (although he was initially arrested as a deserter). He returned to fight in France and received the Distinguished Conduct Medal in 1917. Billy Mapes was from Hethersett, near Norwich and fought with the 1st battalion Norfolk Regiment. He was severely wounded in the ankle and detached from his men. His slow journey to Brussels came via the same Red Cross Convent at Wiheries where Col Boger and Sgt Meachin had been held. Following his escape he spent a number of months in hiding in the home of the Camus family, where he managed to stay undetected when German officials searched their store. He was then in contact with a number of Belgian agents who, as with Tunmore, directed him to Edith Cavell. Mapes’ large group remained hidden until they approached Antwerp, where they had to turn back. A second attempt, crossing into Holland near Turnhout, proved successful. He and his comrades reached England on 15th June 1915.. Unknown to Mapes, for months he had been listed by the Army as missing – believed killed. His mother had stubbornly rejected the Vicar of Hethersett’s suggestion of a Memorial Service and had refused outright to believe he was dead. Villagers wept at his return to the village. In mid 1915 he conducted a cautious interview with the Eastern Daily Press. Wary of protecting their identities, he did not disclose information on Cavell or the escape network to anybody. David Jesse Tunmore served in the 1st Battalion Norfolk Regiment. He was promoted Sergeant at 19 years old, believed to be the youngest Sergeant in the Army at the time. During August 1914,Tunmore’s battalion formed part of the rearguard at Mons. Wounded and completely surrounded, he lay in a stream, emerging only for air. Once captured by the Germans he was held in the Wiheries convent (along with Col Boger, Sgt Meachin and Pte Billy Mapes). He managed to escape after several weeks, along with another soldier.. They obtained civilian clothes in a nearby village and then met a Belgian agent deep in the woods in an old disused church. It was this agent who told them of Edith Cavell. They arrived in Brussels on December 23rd 1914 and found Edith Cavell at her Institute. Tunmore quashed Cavell’s reservations of him being a spy by recognising Norwich cathedral in a photograph and speaking fondly of Norfolk. The couple were welcomed in. Cavell sheltered them in a cellar behind the Clinique and provided them with money and passports. The pair left for the Dutch frontier shortly after but turned back just short of Antwerp. A new requirement meant that the passports were no longer of use. They then returned to the Cavell clinique and with Edith Cavell’s help in taking their photographs and bribes they made it across the frontier into Holland at the second time of asking. Standing as I do in view of God and eternity, I realise that patriotism is not enough. I must have no hatred or bitterness towards anyone. Site copyright © 1997-2018 Swardeston Parochial Church Council. Using material from this site, and more about copyright.